If you already have a weight bench then you’ll need a set of dumbbells to workout with. If you don’t have a weight bench then take a look at our guide on finding the best weight bench. As the name of this article suggests, we are going to be comparing adjustable dumbbells vs hex dumbbells. 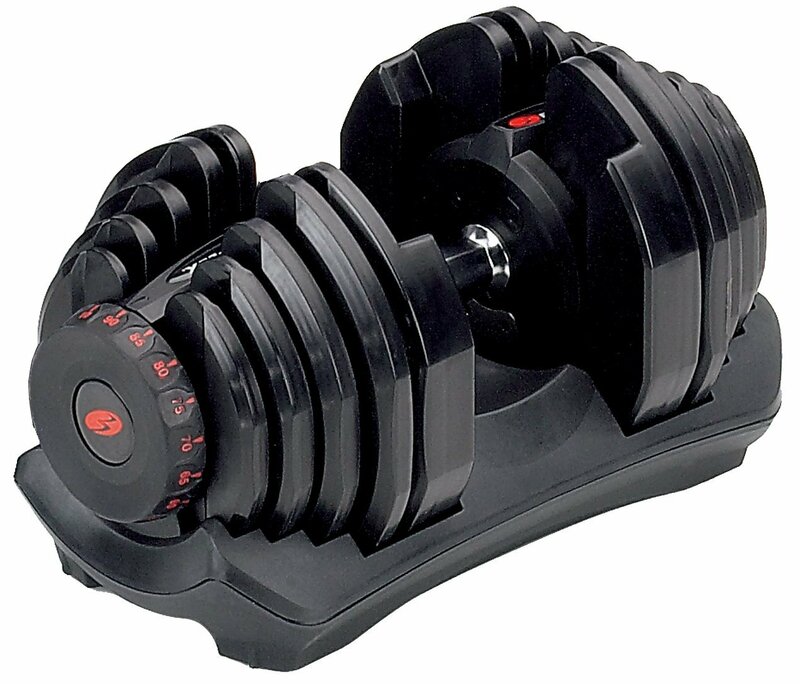 Adjustable dumbbells are a pair of dumbbells which has a system that enables you to change the weight quickly and easily. It covers quite a large weight range allowing you to increase or decrease the weight in small increments. 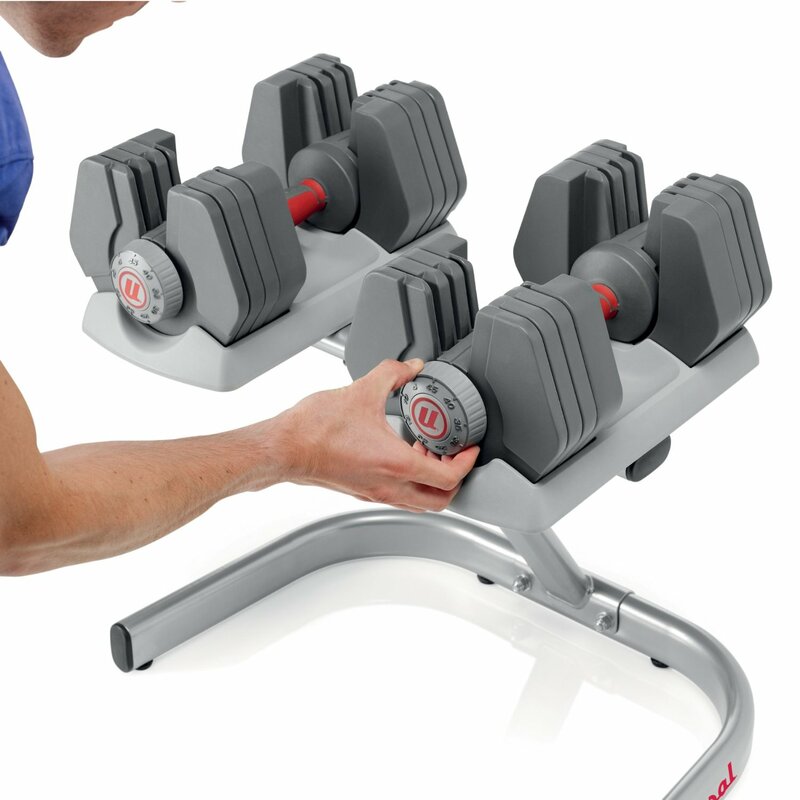 See our top 5 adjustable dumbbells. 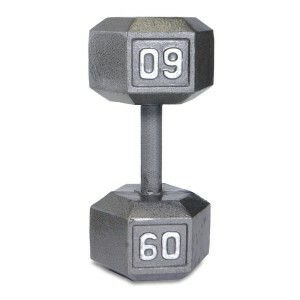 These are your traditional standard dumbbells which you can find in most gyms. Some regular dumbbells will have a fixed weight where you’re unable to change it, whereas some will have spring clips or collars so you can add or remove weight plates to adjust the weight. See our top 5 regular dumbbells. 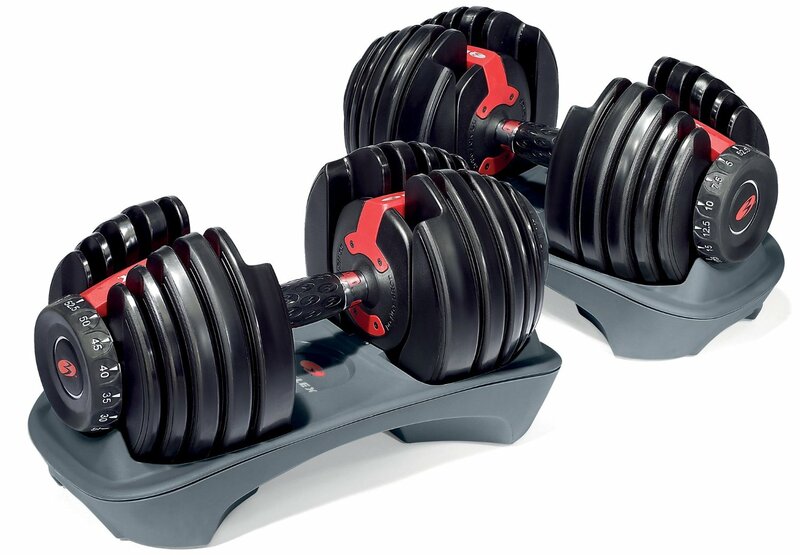 Adjustable dumbbells cost quite a lot more than regular dumbbells, although if you buy a pair of heavy regular dumbbells the cost would not be far of a pair of adjustable dumbbells but the structure and durability of the regular dumbbells would be much stronger. Regular dumbbells tend to be sold as singles which can be extremely handy if you needed to replace one dumbbell from a pair you already have or if you needed to buy one dumbbell only of a particular weight for a certain exercise such as the dumbbell triceps extension. On the other hand adjustable dumbbells are usually sold in pairs so if you needed to replace just one then you’d have to buy the whole set again unless it’s covered by the warranty. When checking the price make sure you check whether it’s for a single dumbbell or a pair of dumbbells. 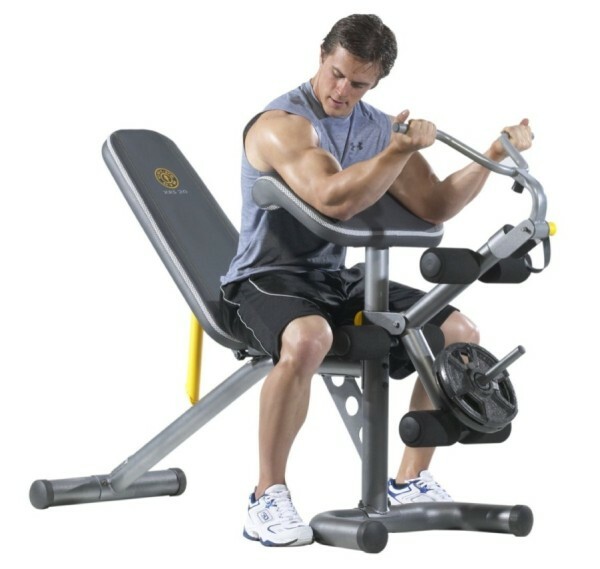 This kind of depends on your workout routine, if you have a particular workout where you’re required to change weight after every set then adjustable dumbbells such as the Bowflex SelectTech 552’s would make it so much easier, as this will enable you to do it within seconds no matter how high or low the weight. 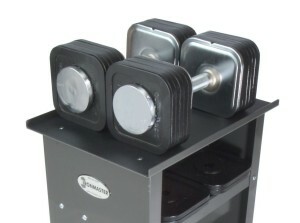 If you had regular dumbbells where the weight can be adjusted it would take much longer to change the weight between sets, if the dumbbells was a fixed weight then as long as you have the dumbbells you require then this would be practical but it’ll just mean you’ll have dumbbells scattered around your workout area. The materials used to make adjustable dumbbells tends to make it not as well built and durable as regular dumbbells, because of the mechanics involved there tends to be some plastic parts which of course is not as durable as cast iron, chrome, steel or rubber. 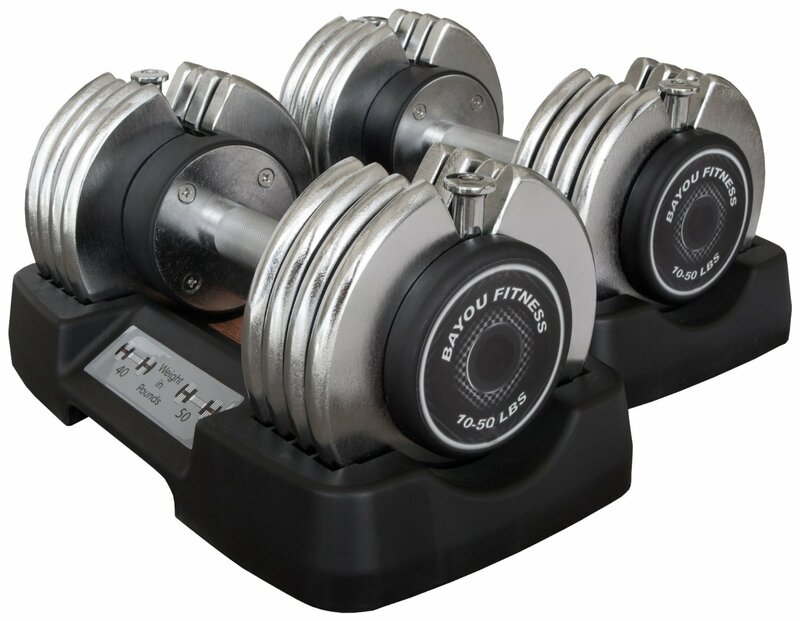 The Ironmaster adjustable dumbbells is an exception however, it is very well built with welded steel and changing weight is quicker than regular dumbbells but slower than adjustable dumbbells. 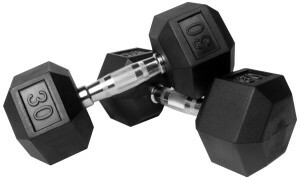 Regular dumbbells are usually made from either or a combination of cast iron, chrome, steel or rubber which makes it very tough and durable. The dumbbells which are fixed tend to have a slight edge in terms of durability over dumbbells where weight plates can be added on or removed. If you train most of your muscle groups (which you should) then you’ll need different weights for different muscle groups. The range of weights which a pair of adjustable dumbbells cover can pretty much cover the muscle groups you’ll be training. With fixed regular dumbbells you’re limited to what exercises you can do with that weight, as it’ll be too heavy or too light for some exercises. Of course you can purchase a few pairs of dumbbells to accommodate for the exercises you’ll be doing, but this would take up a lot more room and make your workout space look cluttered. One way you can save space is to buy a kettle gryp which basically converts your dumbbell into a kettlebell. It would useful for anyone who incorporates any exercises which involve using a kettlebell as part of their workout. The good news is, this product is compatible with most adjustable and fixed dumbbells. One of the main reasons people train is so they can gain size and strength and be in better shape. When starting off you may decide the maximum weight of a pair of adjustable dumbbells will be sufficient for you to progress but you might hit that maximum weight a lot sooner and you’ll limit your potential if you’re going to be lifting that same weight with ease. 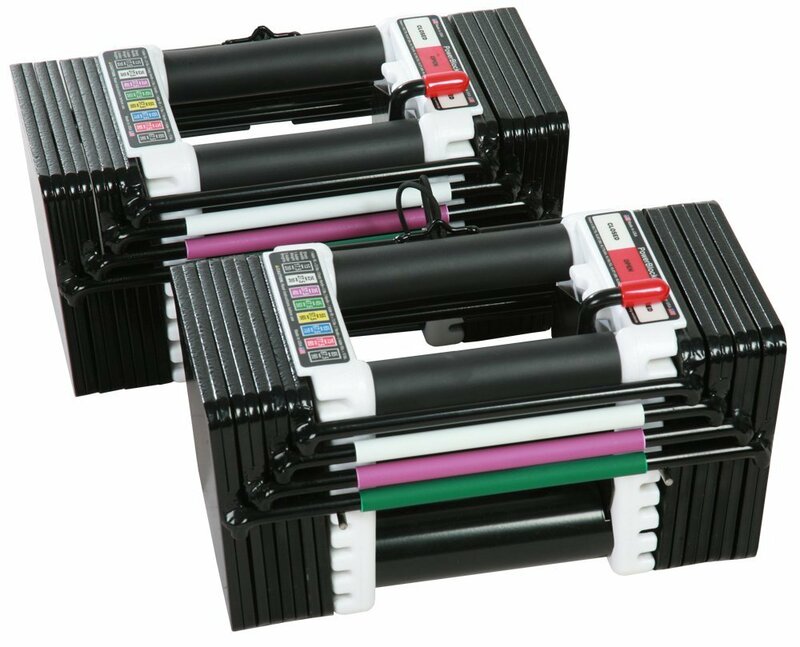 Some adjustable dumbbells such as the Powerblock Elite do offer extension packs where it’ll increase the overall maximum weight, but the dumbbells start to become big and bulky which may make it impractical for certain exercises. The same can be said for regular dumbbells that if you buy a pair and you’re lifting that weight comfortably then you’re limiting your potential by not increasing the weight. The difference however is regular dumbbells cost less money than adjustable ones so you probably can afford to buy another pair of regular dumbbells. Deciding upon which type of dumbbells to choose really depends on what type of workouts you’ll be doing and how strong you are. If you’re going to be lifting heavy like 90 pounds or more then it’s probably more practical to lift with regular dumbbells such as the CAP Barbell Solid Hex as it’ll be more study. If you’re not that strong and will be training various muscle groups then a pair of adjustable dumbbells should hopefully be the only dumbbells you’ll need. It will also make your workout area a lot tidier and would be practical if you have limited space. 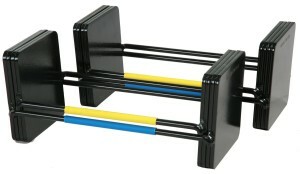 You may also want to consider buying a compact folding weight bench if you’re limited on space.